Here's our Bethesda press conference write up, featuring all the games and announcements. Despite this week’s earlier leaks, Bethesda led with an unknown, a cinematic trailer for Quake Champions. 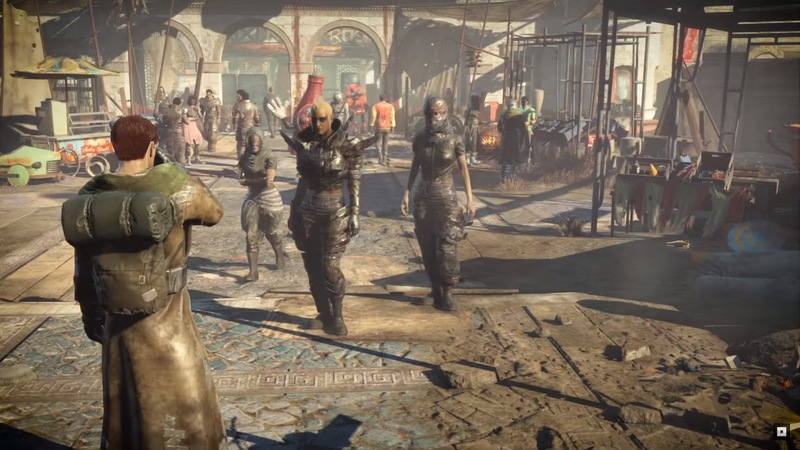 Bloody, shooty, and full of character, the trailer showed no gameplay, but hinted at character specific abilities – this was later confirmed by Tim Wiltis on stage. It is of course developed by id, Champions was only announced for PC, we’ll see more at Quakecon in August. It will run at 120hertz, with an unlocked framerate, Bethesda will be expanding its tournaments beyond Quakecon in the future. Pete Hines, the consummate PR professional, took to the stage and recapped Bethesda’s last year. A card game with trappings of such staples as Magic the Gathering, and Hearthstone, Legends adds lanes to the mix – Kyle could be heard retching in the background. 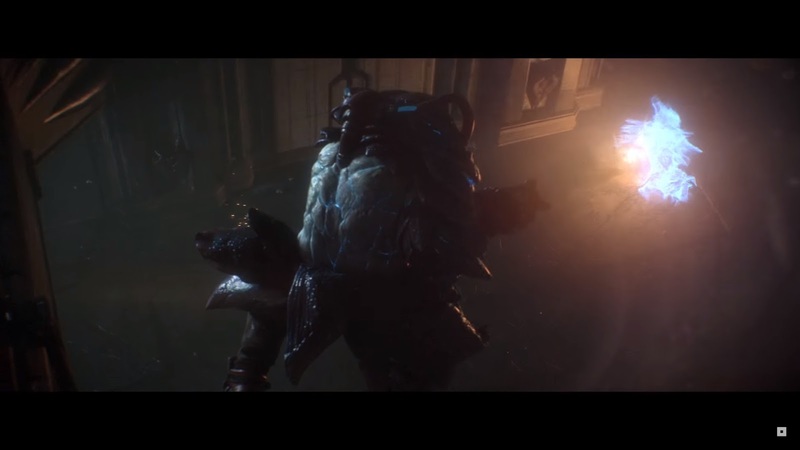 And features a story mode – and numerous means of multiplayer obviously – told from the perspective of a Moth priest, the opening cinematic was shown. It’ll be coming to iPad, iPhones, PC and Mac, later this year. The next DLC will add conveyor belts, tracks (for ball bearings), and more to the workshop, and its coming next week. Also bolstering the workshop, Vault Tec will allow you to craft your own underground vaults, experiment on dwellers, and that’ll release in July. Finally, the Nuka World DLC was teased. Although brief, it suggested an expansion with characters and quests rather than being another workshop add-on. It’s slated for August. Is getting an update in July, adding new content, a new combat system, and PC support. The leaks were right; Skyrim is getting ported to the current generation, with mod support, and substantial graphical improvements. It’s also coming to PC, on August 28th. The new Prey was merciful free from Tommy Hawk, replaced instead with some nine-till-fiver called Morgen. 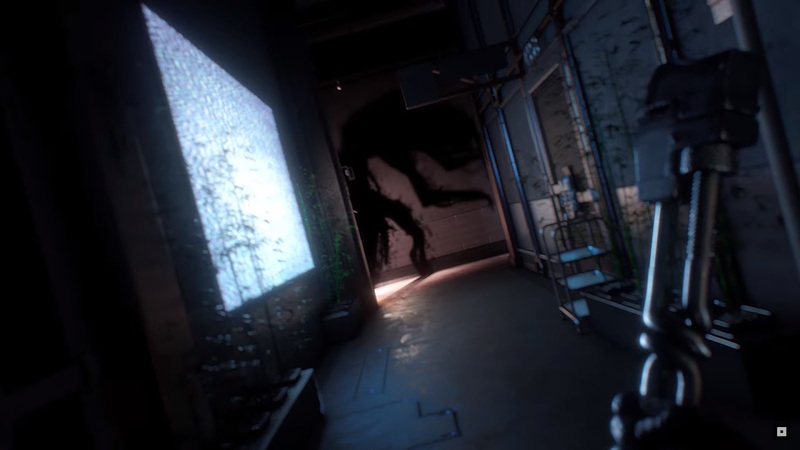 Set in 2023, the trailer – it wasn’t clear if it was in-engine or wholly CG, it looked too good to be the former – showed face-hungry aliens in long dark corridors and overturned offices. The horror dripped palpably. It’s coming next year from Arkane Austin, on PS4, Xbox One, and PC. Hell will quite literally come to Doom’s Snapmap mode, along with additional logic options, and the single player weapon wheel. New modes are coming to the multiplayer for free this summer. The first DLC pack will add three maps and a new demon. In the tradition of shareware, the first level of Doom will be made free on consoles and PC, starting tonight, only for this week however. Fans cheered uncharacteristically for the ESO segment. ESO, which no longer has a subscription fee, has over seven million players. It’s to coming to Japan later this year. Dark Brotherhood, out on PC, is coming to consoles this Tuesday. One Tamriel, the next ‘game changer’, will remove all level and alliance restrictions from the world; all content will scale and be playable by every character. It’s coming this fall, to either revolutionise ESO, or deliver the killing blow! Doom and Fallout 4 will both have VR support. Fallout 4 will be coming to the Vive in 2017. Dishonored 2 received its first extended look at gameplay, set on in a new location, a southern island reminiscent, but different from Dunwall. The team created a new game engine, Void, with a dynamic narration and audio systems. They want every location, like every alley, to tell a story. Player will control Either Emily or Corvo, and flee Dunwall after the throne is seized by an ‘otherworldy usurper’. 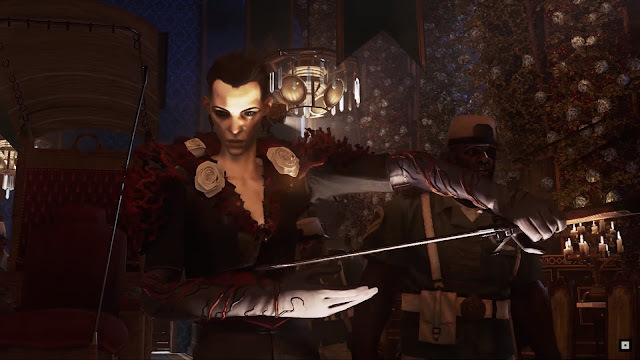 The following gameplay trailer showed familiar – but new – powers and reverse-handed daggers. Less familiar was the increased verticality, weather systems, and time travel. It releases on PS4, Xbox One, and PC on November 11th. And for a limited time, pre-orders will come with a copy of the Dishonored - Definitive Edition. Don't forget to check out our E3 Hub, for more roundups, news, podcasts, and all of the trailers.